As every time Googles does, Google has revealed the percentage of Android OS running out there in the smartphone world. 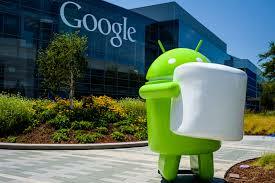 Only 7.5 percent active Android smartphones run Android Marshallow that have access to Google Play Store. There are lots of smarphones waiting for Marshmallow roll out and many who are not eleible to get Marshallow update. 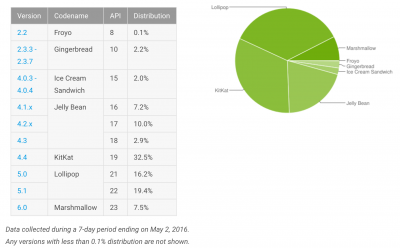 The rest of the data is is dominated by 2014's Android Lollipop at 35.6 percent, followed by 2013's Kitkar at 32.5 percent , 2012's Jelly Bean at 20.1 percent , 2011's Icecream Sandwich at 2 percent and the ever running Android Gengerbread (v2.3) holding 2.2 percent of Android Smartphones. In few weeks we have the Google I/O 2016, might have a look at complete build of Android N or Android 7.0.